How Clintonian/Obamamanian can you get? Cruz was supposed to be the unflinching conscientiousness of common sense conservatism. Since when do we not have an opinion on ANY aspect of the Constitution and not FIERCELY defend it? He’s in good company at least. The normally reliable patriot Mark Levin has decided that although he admittedly has not studied the Natural Born Citizen clause in our constitution – anyone who doesn’t just get on the Cruz bandwagon is an imbecile. Talk about intellectually dishonesty. It ain’t that hard. Clearly if the Founders meant anyone who was a citizen was eligible - they wouldn't have bothered to make an exception for "Citizens at the time of the adoption of this Constitution." Remember, they didn't have public schools to dumb them down. They actually were some of the most educated intellects IN THE WORLD in their own time. Especially John Jay, Thomas Jefferson, and Benji Franklin - all who mention their embrace of the philosophy nationalistic loyalty through generational citizenship. Although some of you may need the “Natural Born Citizen for Dummies” video below. And the one man who seemed undeterred by threats from both left and right, who even seemed to exemplify the original values of “truth, justice and the American way,” now is contorting himself to be considered as a candidate for Presidency. 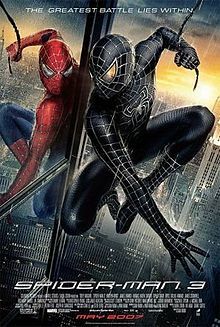 It’s a bad senatorial remake of Spiderman 3. The fact that Cruz has been a dual citizen with Canada doesn’t even give him pause for the implications of his full speed ahead - the law be damned – attitude. The “pro” argument is the same relativistic BS we’ve heard from Democrats for 40 years. “Are we afraid that Cruz will secretly implement Canadian law?” one mocking pundit asked on the Sunday shows. How far the mighty of fallen. No – not Cruz per se – but us. Or more specifically U.S. The amazing notion of our grand experiment (the United States), was elegant and brilliant. Laws – not mobs, not PMS episodes from a vengeful monarch – would rule the land. And if the people who lived under those laws didn’t like them – they could change them through a very deliberate process that would ensure it wasn’t being done out of haste or as a fad to be regretted later. And – for the most part – it has operated wonderfully. Prohibition being a case in point. We thought we could sober up (and man up) the adults of our nation who had become a drain on our civilization and learned something that the Bible has been teaching for 200 years – people don’t become moral because laws are passed. And as we actually tried to put in place these ideals – it became clear that even with all the thought, prayer and academic scholarship that went in to our new philosophy of how to live as a free people, it could be easily destroyed with the political capital of a popular President. It is widely agreed by historians that the single greatest act George Washington ever performed for his country….was to step down. His popularity was so intense that Americans would have easily anointed him “king” and replaced 2 more centuries of guaranteed personal protection with a warm fuzzy feeling. How ironic that the supposed “law and order” guys who castigate Obama endlessly for simply ignoring the Constitution (or even basic Federal laws) so easily want to trample upon a tenant so important to the Founders that it was singled out in the Federalist papers and by personal correspondence between John Jay and George Washington. Even Republicans have bought into simply bowing to the decisions of the Supreme Court when Jefferson CLEARLY said it should be the WEAKEST of the 3 branches. If there was an opinion it was up to Congress to reflect the legislation by passing a law – not adjudicating it. In fact our entire culture has fallen by a refusal to fiercely abide by the “system” put in place 224 years ago. Politicians and people in power of the banking systems have continued to assault the system to get what they want. The militant homosexual community has almost entirely achieved it’s goal by overriding the will of the people through courts and public emotion. And Ted Cruz has an enormous chance to teach the children of the nation – all of us in fact – that principle is more important that political power. Were he to sacrifice his selfish ambition to act faithful to uphold the Constitution and forgo a chance at President – he would be likened to George Washington. His new political clout would be immense. Here is a man who stepped away from power for the good of his country. And yes, it would immediately refocus the questions on the legitimacy of BHO. And certainly there would be screams warning of impending doom by the GOP establishment who are petrified of us learning how complicit they have been in getting him elected. But finally – we would have an educated electorate and a political hero to look up to. On the other hand, it is clear that if Ted Cruz pushes for his “right” to be President he will experience some minimal loss of affection (and support) from people like me who still believe in the principles of our Constitution. The real damage however, will be that an illegitimate pretender from (pick any country including Kenya) will forever have the “cover” to usurp the goals and intents of our Founders. School children will learn that if you are popular enough, you can get away with anything. And the complete destruction of the 1st and 2nd Amendments will crumble even more quickly. Don’t believe me? Do you think you could have gotten a MSM outlet to even mention the phrase, “Natural Born Citizen” when their maniacal messiah was up for election? But look how quickly they use it against a REAL threat in the person of Senator Cruz. Name ANY compromise of basic moral principle that hasn't been stretched or broken in later generations. No sane person would believe that the Democrats wouldn't argue for anyone that would prop up their power to suddenly become a citizen of the US later to take it over. Look what they did to accommodate a Marxist raised Kenyan with Islamic ties. This is why we have laws. This is why if we don’t like them – we have to stop this insane compromise and capitulation to judicial or popular opinion and USE THE FRIGGIN’ SYSTEM! We should be attacking anyone from the ACLU to the Heritage Foundation who might desire to accomplish the “end goals” however they can – rather than reinforcing the integrity of our Constitutional system. 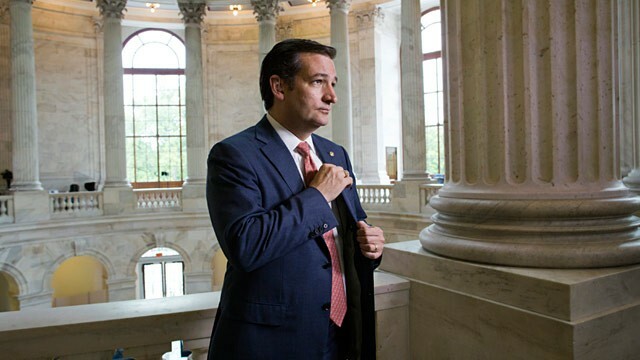 Would Ted Cruz make a good president? No, I think he’d make a GREAT President. Of the new nation of Texas. Or after we - as a nation - have decided to amend Article 2. But be very, very careful. Obama reached office by massive deception (and possibly worse) to overcome these restraints. The mainstream GOP still hasn’t “bought a vowel” on who he really is. He wears a ring of Islam, he is educated in an Islamic country during his formative years, he cancels Christian days of prayer but initiates a day of prayer for Muslims in the Capitol and has fought anyone who attempted to hold back the Muslim Brotherhood all while arming and equipping them with the military force of the United States. Yeah – no way someone who has no legacy or appreciation for America could ever get into that powerful of an office right? Even after the testimony of ex-Soviet agents describing how American values have been undermined since the ‘50’s , you think it’s impossible that a foreign power could penetrate the government of the United States? No, I’m not worried about Ted Cruz undermining America. I’m worried about Ted Cruz not worrying about undermining the Constitution and the NEXT Barack Hussein Obama. #CruzMissile --------->>>>>> [GOP Establishment] KABOOM!!! Ted Cruz: I’m no military historian, but I’m pretty certain that you lose 100% of the battles you begin by surrendering. Ted Cruz: You don’t get a $17 trillion debt without a whole lot of bipartisan cooperation. SQUEEEEEEEEEEEEEEEEEEEEEEEEEZE the HE!! outta these B^&%$%s! I would agree except for the disparaging tone of Levin on ANYTHING birther - whether proven fraudulent docs or NBC. Cruz had been asked about this months ago long before ObamaCare battle heated up again so if that is the strategy - it isn't centered (IMHO) around distraction. If they have collaborated for some special psychological ops on Dems - I'd be pleased - but it doesn't changed that the bigger issue is the eligibility of the man currently occupying 1600 PN. And what could stop ObamaCare quicker than Cruz thoroughly defending the Constitutional requirement for eligibility to get him thrown out? Hi PolitiJim, good to see you writing for your blog again. There seems to be something deeper at work with Mark Levin. Not only is he wrong about natural born Citizen, he is also advocating for a Article V Convention. What Mark Levin is proposing is not reasonable or logical, it is a suicide pact. Rush Limbaugh in support of Levin's "Liberty" Amendments, went so far as to say the Constitution is broken! Those are not the words of conservatives, they are the words of radical political activists selling something. The problem isn't with the Constitution, it is with the people themselves. If the people won't hold the federal government accountable with the Constitution now, then why will they after some new Amendments are passed? Which if a Article V Convention is held, none of that will matter because we will lose our Constitution as we know it, despite Levin's fallacious rhetoric of it not happening. Here is an excellent informative link warning of the all the dangers of a Article V Convention. Remember Cruz MEMORIZED the Constitution as a kid too. People keep overlooking the Constitution isn't just a legal document, but a covenant with God that was acknowledged by the writers as coming in part from Him. Just crazy that these good, Christian conservatives are so willing to bow to the god of political expediency they are selling their integrity and their children's legacy for selfish ambition. God help us. effects, and in turn creating their own. Talk about digging the hole deeper. Maybe because they would first have to change themselves? hold on to power long enough for that to bear any fruit. Just think of the absurdity of trying to hand God a rain check. weeks ago discussing the Second Great Awakening in America. I pray my countrymen will have a third one ASAP. Beautifully put. "the Revolution was already in the hearts of the American people." THAT I think is what I've been waiting for Sarah or Newt or Ted to do. Start declaring a "philosophical" war against this administration damned the media's spin. Newt is off on this "be optimistic" bent and I somewhat agree. But Reagan didn't pull punches on how serious the threat of socialism/communism was at all. He just knew how to interject it in healthy doses without becoming boring or preachy. I don't see anything Beck took from Andrew. I well remember him giving total credit to Andrew. I well remember Andrew as he was on Red Eye, in fact when he died, Greg Gutfeld gave Andrew full credit for that show. I never knew it was Andrew who did it. Some people could say Greg "stole" it the way they are after Glenn, but in reality sometimes things are not said because they don;t need to be said. There was never a reason for Greg to say Andrew thought of the show. Andrew was on all the time and you could see Greg loved him and visa versa. But when Andrew was dead( poisoned i am sure), Greg gave him complete credit.